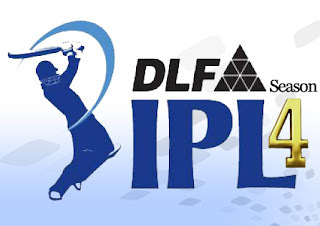 DLF Indian Premier League is running with full of entertainment. This year IPL 5 (2012) is coming with total 9 teams which can play up to 76 matches. Point table and teams & player statistics is the most famous ranking category of the cricket where all the records of the teams are saved. It is one of the easiest ways to see which team is on top and which on last. You can also see the performance of the players during IPL 5. The Points tally table and Teams & Player Statistics is updated on regular basis, so you will see the latest points and standings. Last Updated after KXIP v DC at Mohali on 13th May 2012. Pune or Mumbai is expected to win according to me. kochi tuskers kerala will win. This is very informative post. I think People get more information about ipl. I am very happy to see MI with sachin and malinga at the top. This IPL is gonna be quite exciting for me. This time DC WILL WIN!!!!!!!!! [PAKAA]IPL4-DC, IPL5-DC,IPL6-DC.every time dc only!!!!!!!! !WILL WIN [like ipl-2]WE R THE CHAMPIONS!!!!!!!!!!!!!!!!!!!!!!!!!! sachin is the god of crickect.i fell very happy. mi will surely,,,,,,,,,,,,,lose coz thy have got sachin the most overrated player in the cricket industry. but,lasith malinga is a great bowler. the only best thing about mi is that they have got the most talented player,symonds. insted, they will surely lose from the point of view that they have got the real mokey of our country, harbhajan.i'm in the support of rr and rcb,coz they have got shane warrne, the most dynamic cricket player,shane watson,chrish gayle,vettory.and many more. so they must win. and i'm gonna give a better advise to the sachin's fans that the person they think as the god of cricket is overrated. every game in which he hits the century, his team will lose. wat a shame. lastly, i wanna say that dd&csk will also not be able to fight up to the semifinals. they are also one of the worst ipl teams just like mi. I more like iplt20. my vote is mumbai indian sachin is mostly like his play. I like this post. Please update your post is really excellent. Any Body wins finally its india will win so stop being individual state person, be an indian sports man ship, only enjoy cricket and chear girls. east or west punjab is the best and will win this Ipl 4 with pride.Valthaty marsh gilcrist kartik pravin are not empty drums. How many matches does Munaf Patel has played in this IPL so far .. ?? .. 123 .. ?? .. lol ..!! CSK will surely win this ipl also. With captain cool, Mr. Cricket, Raina, Badri, Bollinger, Ashwin this is a tough team to beat. Thanks for all those who vouched for CSK and *u*k* for all those who insulted CSK. Hey guys CSK has Captain Cool, Mr.Cricket, R Ashwin, S Raina, Albe Morkel, Dawyne Bravo, Badrinath, Doug Bollinger any one of these eight players can single handedly turn a game from jaws of defeat to a great and thrilling win. The how can CSK Fail ?????? rajasthan played 3 and won 2 no lost no tie in this table ????????????????????????????????????????????????????????????????????????????????????????? ?